Culture Creating City Takaoka | Through “Art brut”, let’s find values and possibilities of “being yourself” or “just living”. Art brut TAKAOKA Exhibition January 24-28! Through “Art brut”, let’s find values and possibilities of “being yourself” or “just living”. Art brut TAKAOKA Exhibition January 24-28! Have you ever heard of “art brut”? In French it means “raw art” and in English “outsider art”. It describes art work that has been created from the artists’ own impulse and creativity which have not been influenced by cultural trend, tradition, or education. During the art brut exhibition held at Takaoka-shi museum between Wednesday, January 24-Sunday, January 28, there will not only be the “Art brut◎Takaoka Exhibition” in which artworks of artists with disabilities from Niigata, Toyama, Ishikawa,Fukui, and Shiga will be displayed, but also an artwork excavating PROJECT “Art brut? Mochikon exhibition” in which anyone can bring in their artwork and display them, released artwork, symposium, and film screening. On the last day between 4:00pm-4:30pm, there will be a “Mochikon meeting” in which each artist will show off their artworks for the “Art brut? Mochikon exhibition”, will will connect to supporting future artwork activities and excavation of artworks and artists. 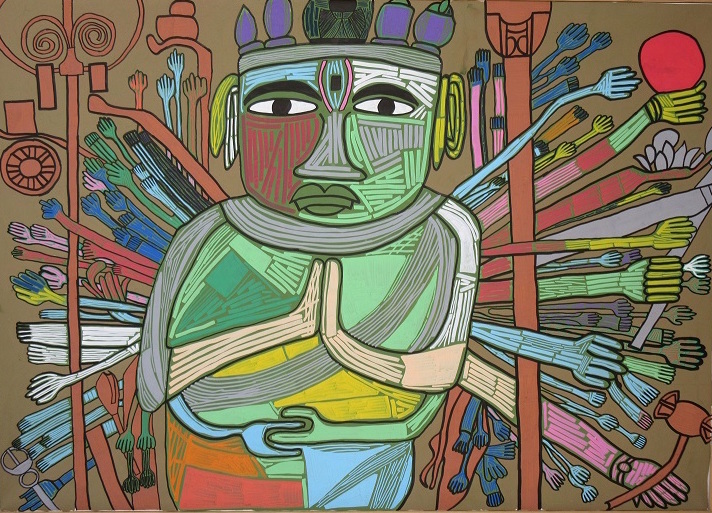 The big theme of this exhibition is “being yourself” or “just living”, which are the keys of “art brut”. Through the exhibition and other events, why don’t you feel the values and possibilities as well as the diversity of art in which the theme describes? 100 styles of design by 100 craftsmen. “100 Sorori Exhibition”, held until July 8 (Sun)! Etchu Fukuoka Sugegasa, Designated Traditional Craftwork. New Products Under Development! After five years of work since its conception in 2013, the “Heisei Mikurumayama” has finally been completed this spring! The works of up-and-coming young artists are currently on exhibition! On 9 – 11 of March ! “Takaoka City Traditional Crafts Industry Human Resources Development School’s 50th Anniversary Graduation Exhibition” will take place. Music, food and craft works full of warmth. “Hina-Festival in Yamacho Valley” takes place on March 11 (Sun.)! Nousaku New Building is the must-see spot of Takaoka for both tourists and local residents!